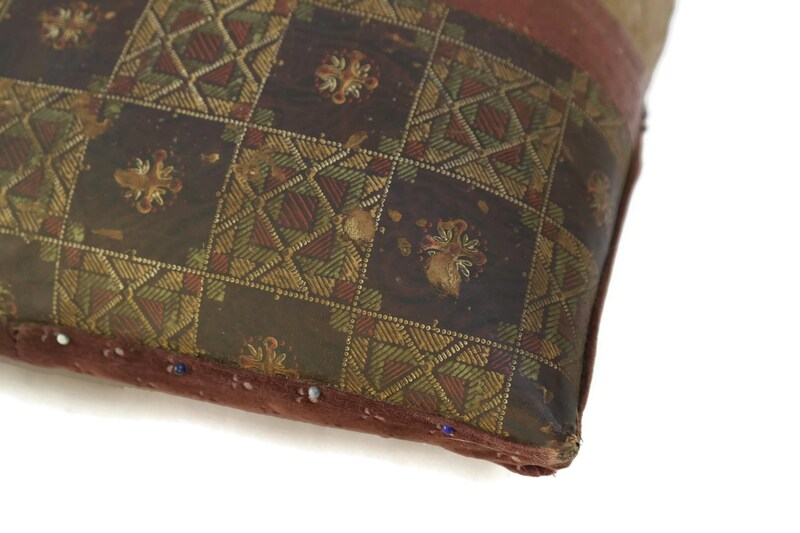 A charming antique French bobbin lace making pillow dating to the early 1900s. 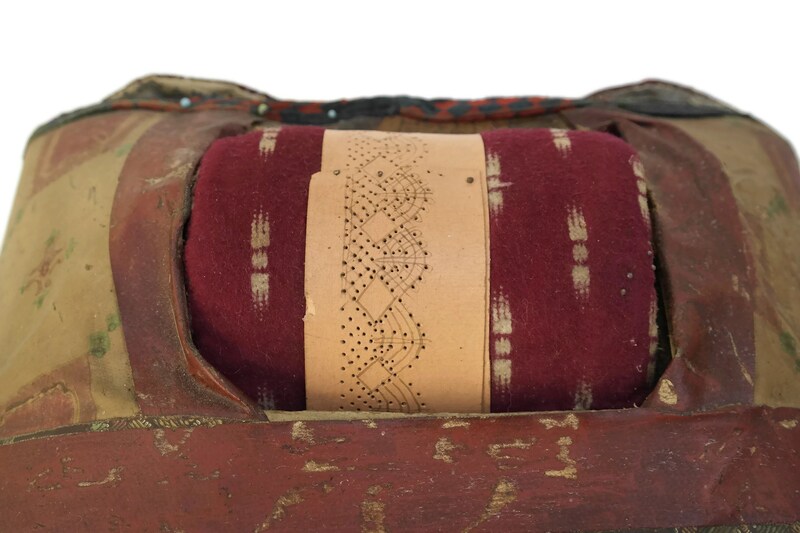 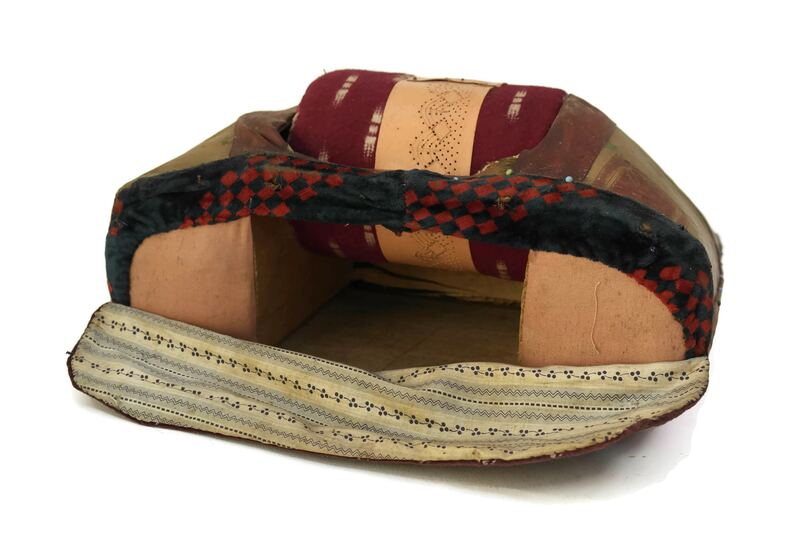 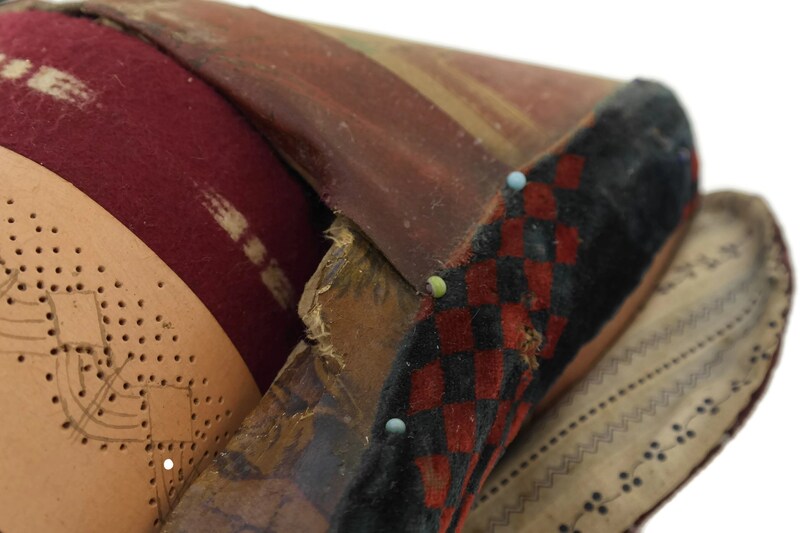 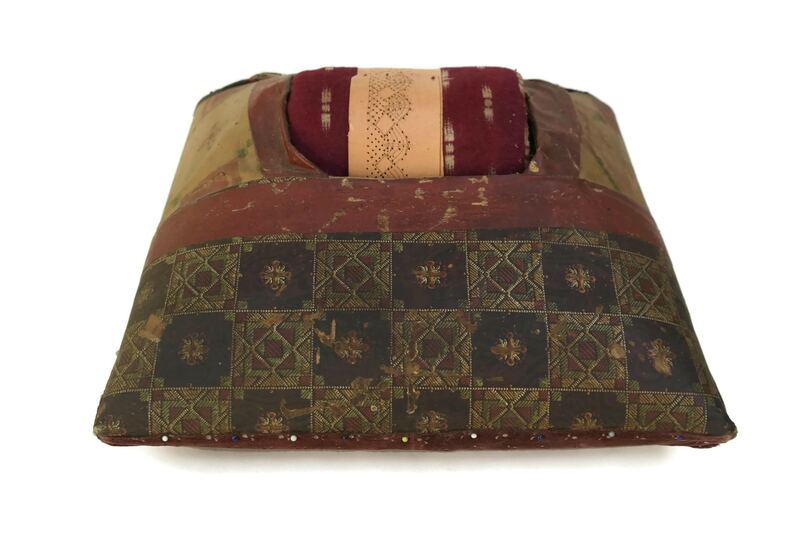 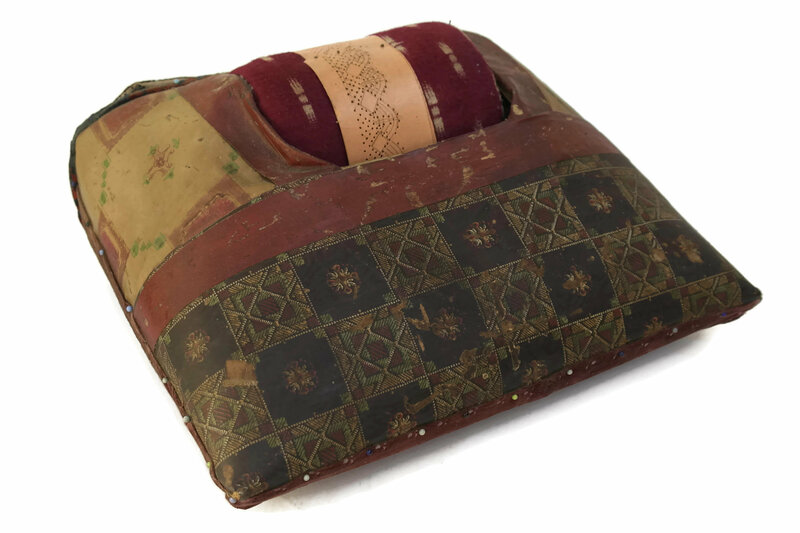 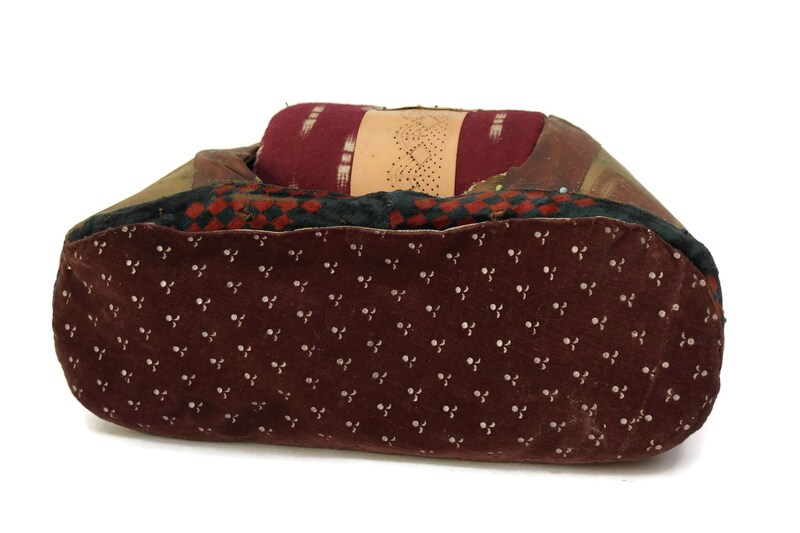 The lace maker's pillow has a wooden frame and has been covered in floral printed oil-cloth with velvet trim. 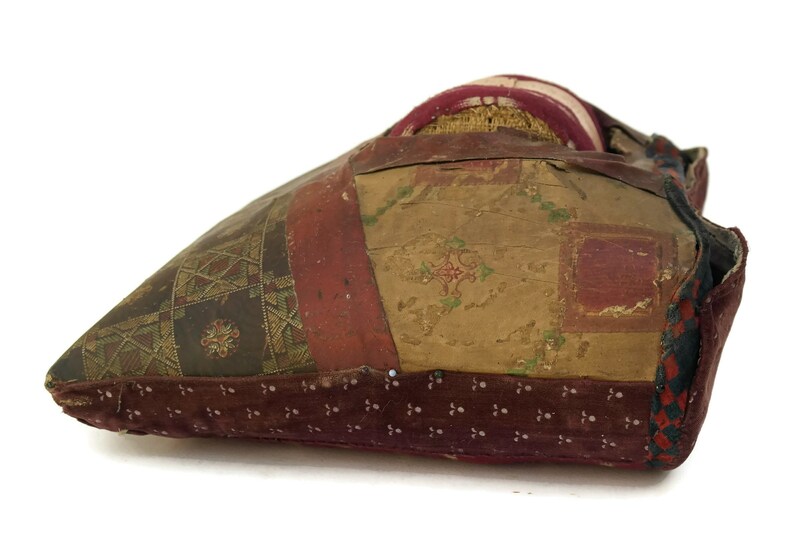 It has a revolving drum to which is attached a printed lace pattern. 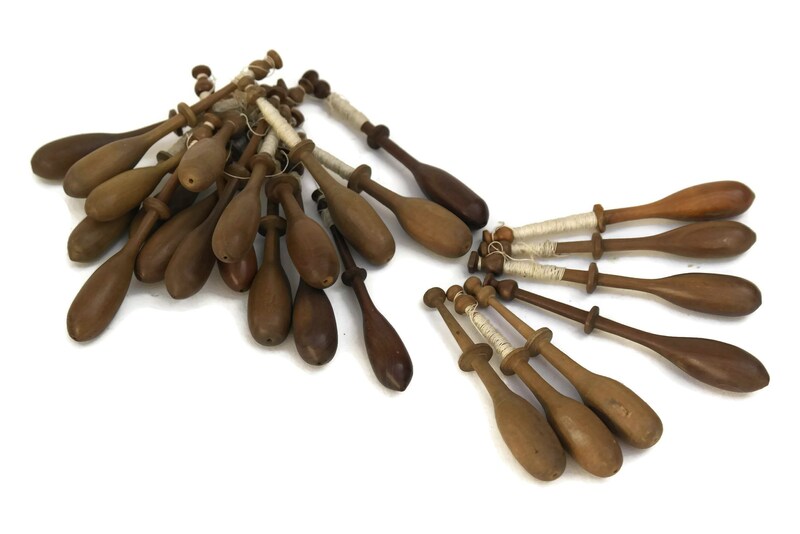 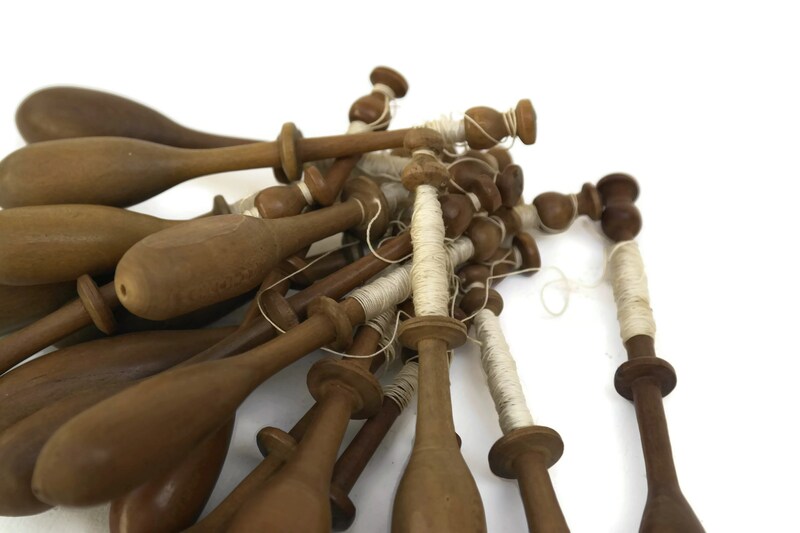 Included are a set of wooden thread bobbins.